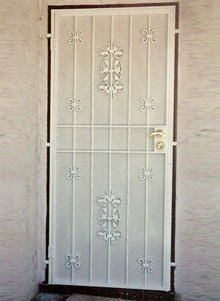 Iron Gates: access gates, entry gates, security gates, driveway gates, motorized gates, etc. Iron Doors: entry doors, security doors, screen doors, wine cellar doors, etc. We've made these iron structures for thousands of residential and commercial clients throughout San Diego County and earned an excellent reputation for quality craftsmanship, fair prices, and honest business practices. At B.A. Ramirez & Sons, we pride ourselves on offering highly personalized service. Solana Beach customers can work with us to design an iron fence, gate, railing, window guard, door, or enclosure to complement their property and meet their functional needs. We are capable of hand forging tubular and solid steel into smooth or hammered pickets or scrolls of nearly any size and shape, and will securely weld on iron castings to add on more intricate elements. Alternatively, they can simply give us a photo of something they want to replicate and we will scale it to your application and suggest improvements that will extend its life expectancy and durability. In either case, your completed iron structure will be made to last and backed by a two-year labor and parts warranty. Call licensed, bonded, and insured B.A. Ramirez & Sons Ornamental Iron Works, Inc. today and speak with our knowledgeable employees. Online estimates are free and we welcome the chance to provide you with exceptional ironwork services in Solana Beach. B.A. Ramirez & Sons Ornamental Iron Works, Inc. specializes in building iron fences for property perimeters, yards, gardens, pastures, and pools. In addition, we repair and replace iron fences in Solana Beach. Our iron fences are fully customizable, which means that we can make you fence in any design you prefer. Our fences range from the highly ornate to strictly functional, and can be made to nearly any height. We frequently install fences with pickets forged out of tube or solid steel and customize with ornate or straight rails, spear tops, and more. These gates can be freestanding or mounted to walls, and accompanied with or without a gate. Each finished piece can be powder coated, metallized, or galvanized before they are installed. 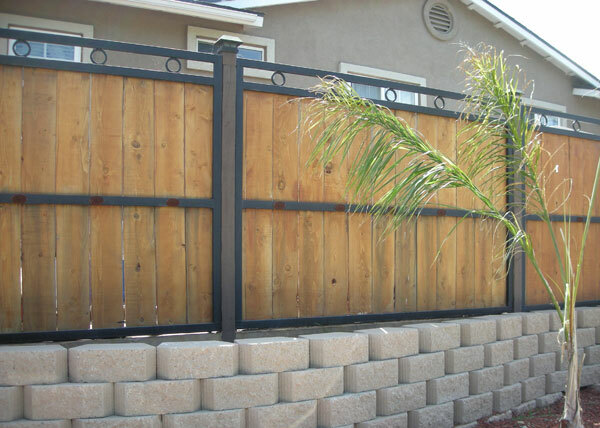 Call us today and we'll make sure you get a long-lasting fence that coordinates perfectly with your Solana Beach home or business. Rely on B.A. 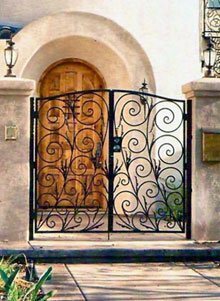 Ramirez & Sons Ornamental Iron Works, Inc. when you want to install an iron gate at your Solana Beach property without sacrificing your building's beauty. 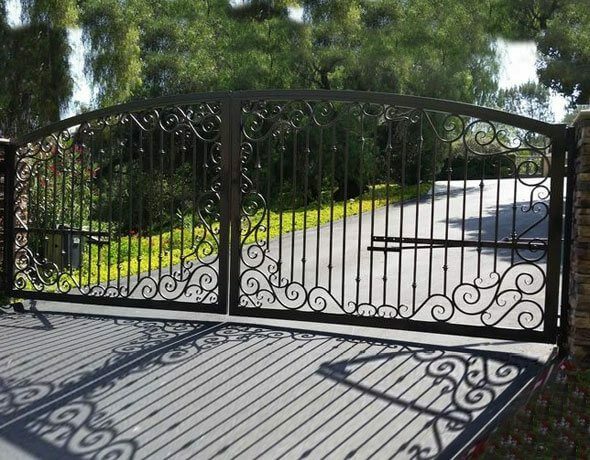 In business since 1982, we have decades of experience providing those in Solana Beach and beyond with iron entry, garden, wine cellar, and driveway gates of exceptional quality. Our prices are reasonable and we always work closely with our clients throughout the gate design, fabrication, and installation process. 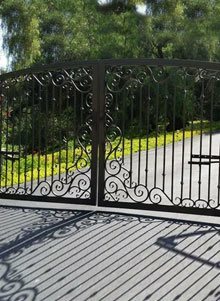 Solana Beach customers can choose gate designs that range from the primarily functional to the highly ornate. Each gate is hand forged out of moderate to heavy weight steel, embellished with casted iron designs, and then coated with a baked-on powder coat finish (available in hundreds of colors) or a sprayed-on epoxy liquid finish (which allows for custom color matching). 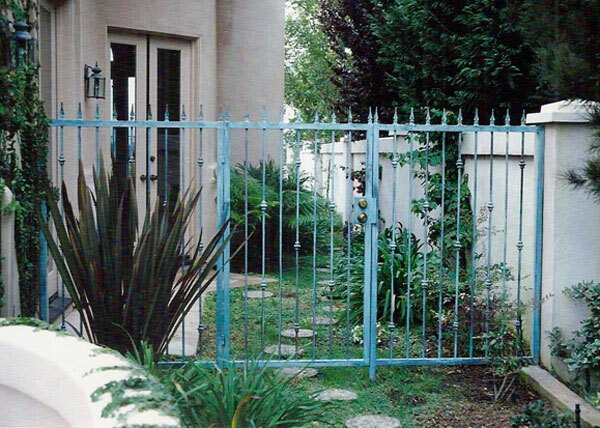 Our residential and commercial iron gates in Solana Beach can also be metalized or galvanized for rust protection and fitted with your choice of hardware or access control equipment. We sell the industry's best handles, levers, latches, key lock mechanisms, intercoms, proximity card readers, keypads, telephone entry systems, and gate openers, primarily from DoorKing, Ram Set, LiftMaster, and other leading manufacturers. 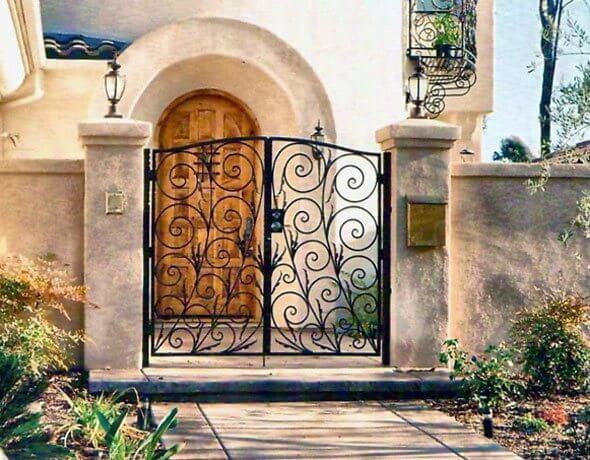 Call us today and let us help you design the perfect iron entry gate for your Solana Beach home or business. Consultations are free. B.A. Ramirez & Sons Ornamental Iron Works, Inc. is the premier choice for custom-designed iron window guards, screen doors, and entry doors. These structures make securing your home or business in Solana Beach affordable as well as attractive. Window guards are also called burglar bars. They are effective at keeping out intruders, but can open in an instant if there's an emergency. Our screen doors can be installed in any door frame and installed with a steel screen to keep out bugs. Finally, our entry doors can be used to create a small enclosure a few feet away from your front door. Because our guards and bars are custom built, we can design them to fit any window shape, size, or style. Our highly experienced craftsmen are familiar with a wide range of artisan designs, such as heart scrolls and fleur de lis designs, but can also replicate designs seen in magazines or at other homes. Once installed, we can also integrate the knobs, door handles, intercoms, key code access systems, or other hardware/equipment of your choice. Call us today and learn more about our ornamental iron window guards, entry doors, and screen doors for Solana Beach. Trust B.A. 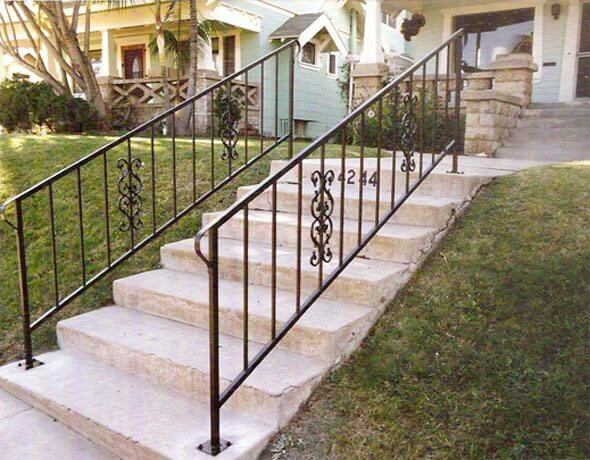 Ramirez & Sons Ornamental Iron Works, Inc. for all of your wrought iron railing installation needs in Solana Beach. 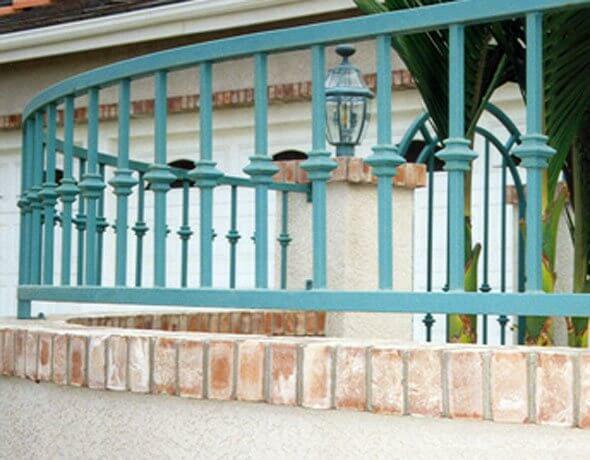 With our decades of experience, we custom-design and build all types of residential and commercial iron railings for our Solana Beach customers, including decorative and functional balcony railing, staircase railing, guardrails, and handrails. Our iron railings can be built to any specification and can be made to accommodate steep inclines as well as wraparound, circular, rounded, and spiral staircases. Our railing installations comply with all relevant building codes and we have the added expertise to install iron handrails in Solana Beach that conform to ADA requirements. By offering an endless array of options for your Solana Beach commercial or residential railing needs, we are able to install the perfect decorative or functional iron railing for your Solana Beach property and budget. Call us today for a free consultation and online estimate. For decades, B.A. 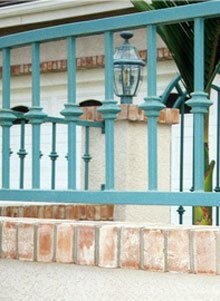 Ramirez & Sons Ornamental Iron Works, Inc. has provided San Diego County homeowners with beautiful ornamental and wrought iron fences, gates, railings, handrails, screens, and window guards. Our residential ironwork is designed to add simple, understated appeal to Solana Beach homes and residential communities while meeting an array of functional needs. Our iron fences are great for enclosing yards, gardens, pastures, pool areas, and pet enclosures, and they conform to all current safety and municipal building codes. 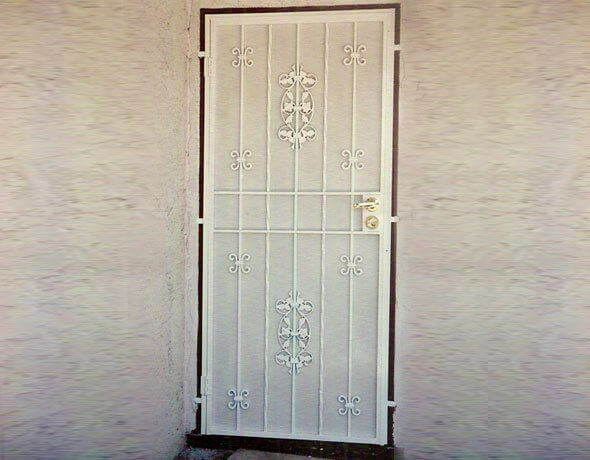 Additionally, because customer satisfaction is of utmost importance to us, our wrought and ornamental iron gates, window guards, screen doors, and entry doors are not only built to code, but also made to give you the best, most reliable, and longest lasting product possible for your budget. Call us today and we'll help you install the perfect iron entry door, gate, fence, rail, or screen door at your Solana Beach home. At B.A. 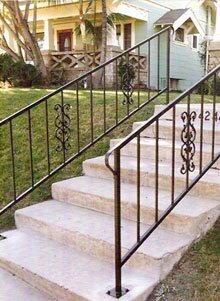 Ramirez & Sons Ornamental Iron Works, Inc., we provide commercial customers in Solana Beach with superior quality iron work at affordable prices. With our level of knowledge and expertise, we are able to complete commercial projects of any size. Our commercial iron work includes fences, gates, railings, handrails, guardrails, window bars, and doors that are all custom made to suit each client's functional and aesthetic preferences. We offer tubular and solid iron, as well as hand forged and cast designs. Our iron work features heavy-weight steel frame construction, backed by a two-year labor and material warranty. Contact us today to learn about our comprehensive commercial iron work services for Solana Beach. Call today and discover why we are Solana Beach's preferred iron fabricators for commercial and residential projects. We're open Monday through Thursday, from 8am to 4pm, and Friday from 8am to 2pm. We offer free online estimates and welcome general inquires. Just wanted to personally thank you for the beautiful job your company did on the wrought iron gate for the front arch. It's gorgeous!!!!!!! The workmanship is superior. I've received lots of compliments and I am pleased to refer you company's name to neighbors and friends. F8 With the thought of privacy in mind, we built this wood and steel combination fence in Solana Beach, CA using a 2" steel tube frame and 5' high cedar wood inserts. The frames were bolted to the pressure treated posts, giving the fence a very unique look. 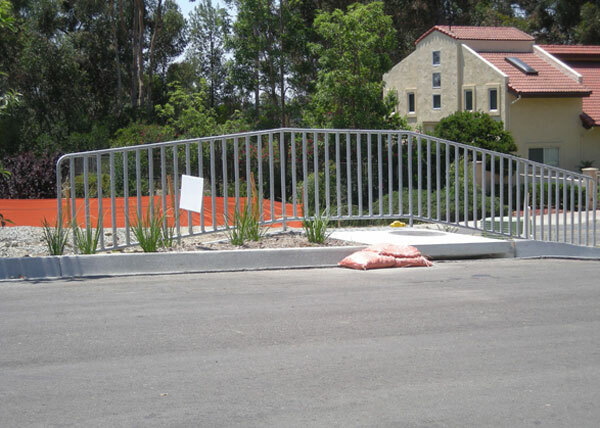 F10 We installed this modern style pipe fence in Solana Beach, CA. BA Ramirez & Sons built the pipe fence with heavy 1.5" diameter galvanized pipe. Creating a strong, sturdy fence was important since the fence was intended for use as a safety barrier over an open storm control drain. G34 Installed in Solana Beach CA, this side yard gate and fence is made for security and back yard access. Made with a steel tube frame, a deadbolt lock system is utilized for security.